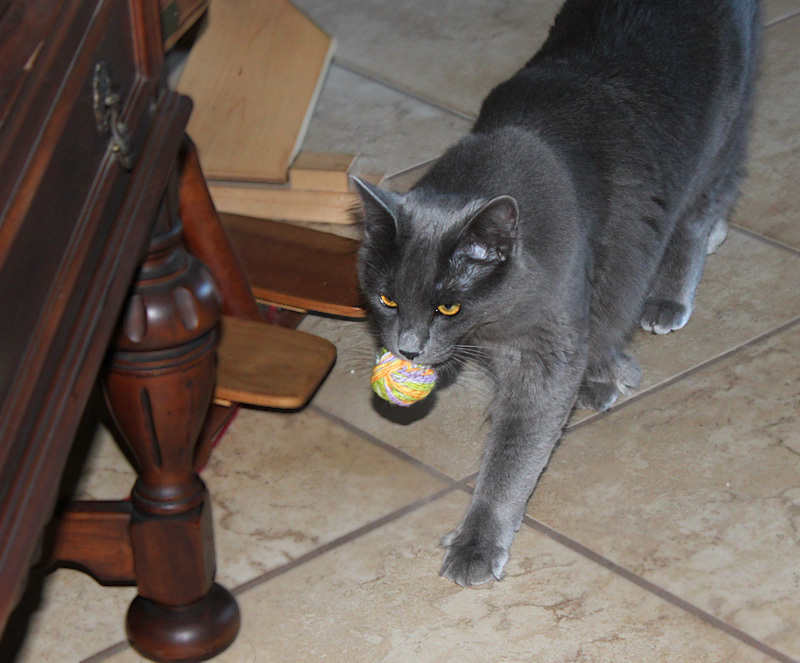 Lily has learned to fetch. Hubby swears she's part puppy. She'll chase the yarn ball for as long as I'm willing to throw it, bringing it back and dropping it (most of the time) near my feet. Being a cat, sometimes she can't resist taking it a little ways past me before dropping it. When I'm crocheting in my chair at night, she'll bring the ball and drop it in my lap. Over and over and over again. And cry if I don't take the hint fast enough. It's hilarious to watch. 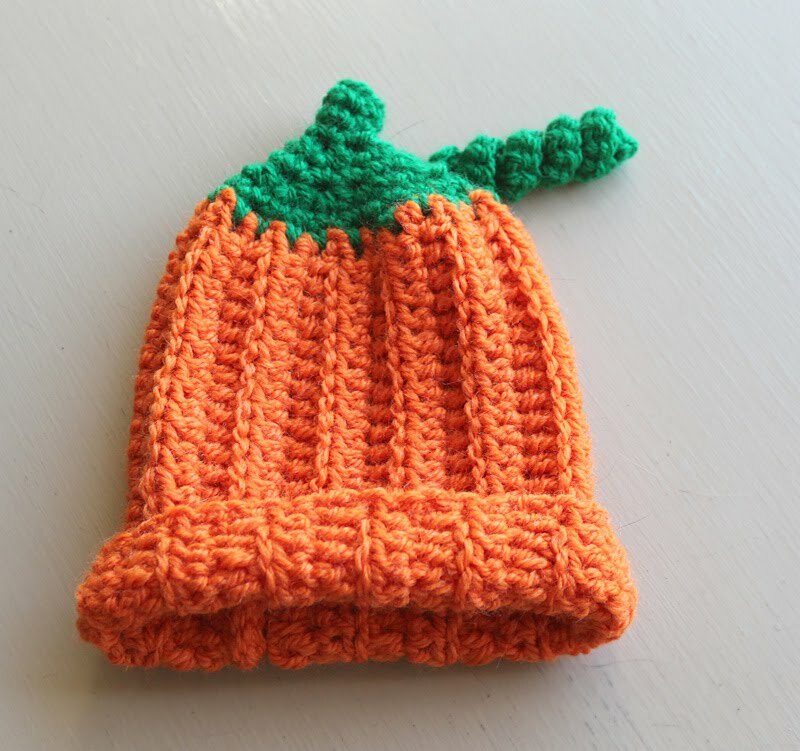 After checking with Auntie Breanne to make sure Cele's mom would approve, I made him a little pumpkin beanie. It took 2-3 hours to finish and I think it's super cute. Hope I can get a pic of Cele wearing it. Free pattern is here (on Ravelry) and here. Over the weekend, I was contracted to make 3 hats for a corporate presentation. Since it was a rush job - about 48 hours - the compensation was, shall we say, very nice. And I got to keep the leftover yarn. 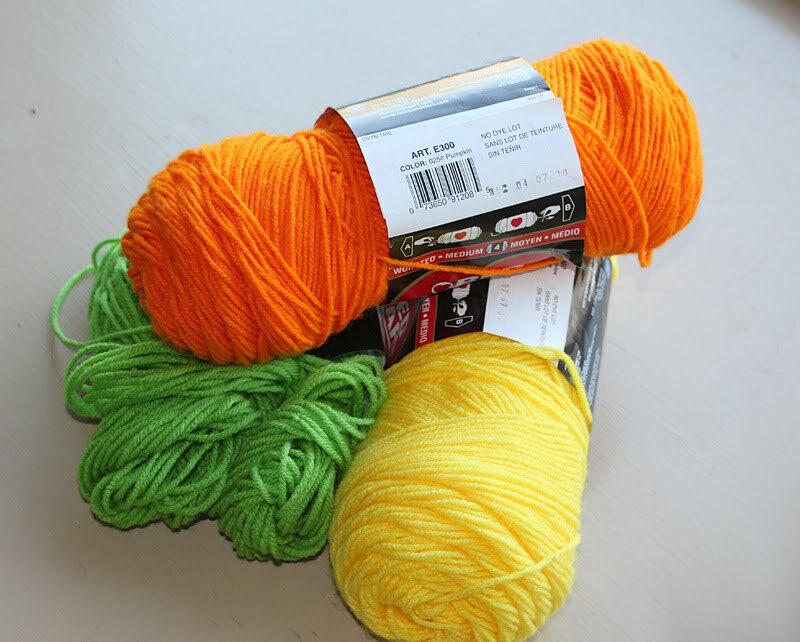 Super Saver isn't my favorite, but it'll make some nice, colorful blankets for donation. I LOVE when cats do tricks! My Murray used to play fetch. He was also a great mouser. (I wasn't as crazy about that.) 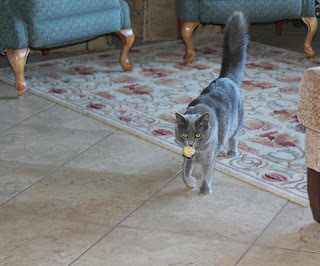 And my Freddie would catch treats in his mouth if I tossed them into the air. Occasionally he would catch the treat in his paws then eat it like a squirrel! Unfortunately, I was never able to catch it on tape.